Available in full range of colors, the Ameraguard Spray-On Lining is the best protection for your application needs. Industry proven and until now applied only with expensive equipment; the Ameraguard is the most economical solution to professional grade applications where an anti-skid, chemical resistant,abrasion proof lining is absolutely necessary. The Ameraguard 100% solids linings which are ideal for spray-on bedliners, 4x4's, restoration projects, trailers and containment area, flooring, industrial and marine applications. 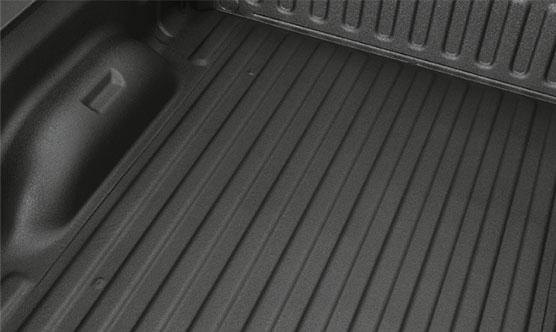 The Ameraguard system is an easy solution for sprayed-on bedliner repairs and coating jobs. Ameraguard HYBRID Coat is a 100% solids, two component, polyurea hybrid coating. HYBRID Coat is primarily used for lining truck beds, van and SUV interiors or the repair of existing sprayed on bedliners. Other automotive uses include undercoating and rocker guard protection. HYBRID Coat also works well as a protective coating on utility trailers, horse and boat trailers. Contains no volatile organic compounds (VOC's). The Ameraguard is the lightest spray-on hybrid polyurea system available, making it ideal for mobile applications where other machines can not deliver. The Ameraguard system is completely air driven, no electricity needed. Due to the extreme self contained simplicity of the Ameraguard system, it has very few replacement parts and the parts that need to be replaced are inexpensive. 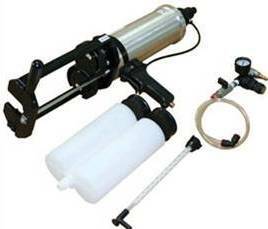 No need to replace hoses, fittings, pumps or expensive equipment.